So, after 856 years from the start of construction in 1163, and 674 years since its completion in 1345, just now, with evil Satanist Sodomite President Emmanuel Maricon (not a typo, Spanish for ?) 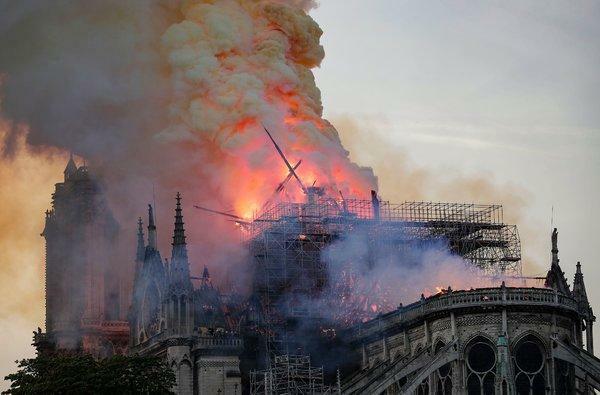 “on the ropes” and reeling from the Yellow Vest movement protests which have rocked Paris, at the start of Easter week, after a rash of Catholic Church vandalism and desecration across France (here), after fire suppression upgrades at the Cathedral, with well-equipped modern fire stations close by, — historic old Notre Dame just happens to ignite as “renovations” were taking place. How conveeenient! “Youse guys” (New Jerseyese for the plural of you) just wait and see the puff-up job that the Fake News gives to this nasty little son-of-Satan and his communist whore mother wife as they masterfully play their assigned roles of comforter-in-chief and national healer. Who would dare to stage protests in Paris at a somber time such as this? Will the pursuit of truth in this matter also be beaten down as the ranting of “conspiracy theorists ™?” Probably. Sacre bleu! These people are sick — and evil. The jews again attack france, for the yelow vest movement demanding a halt to mass immigration. This is a blow to the infidels. 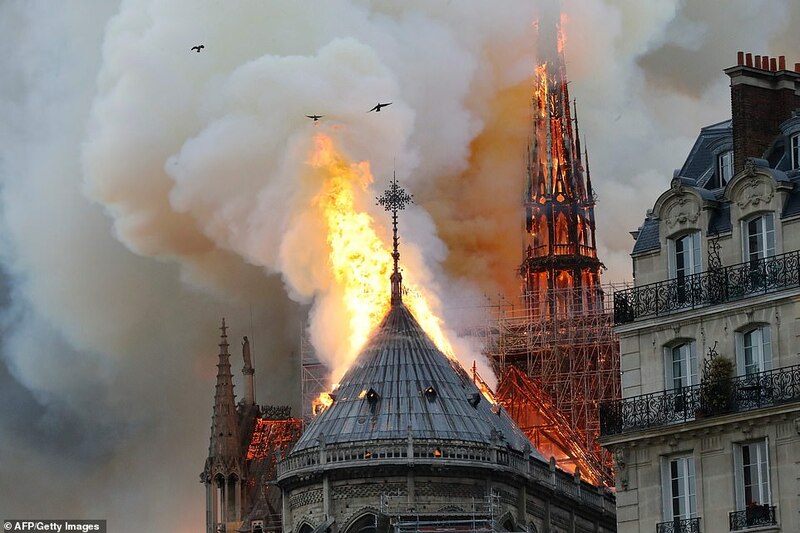 The Cathédrale Notre-Dame (Our Lady), the so called ‘church’, should be demolished. All so called ‘churches’ will soon be abandoned and become redundant. There is only One Church, the Body of Believers. The true Church is not a building, it belongs to our Father in heaven, and the Leader of the church is the Son of man. unto the Son of man, having on his head a golden crown, and in his hand a sharp sickle. The real question is what group is behind the recent string of church desecrations in France, Belgium and Germany. 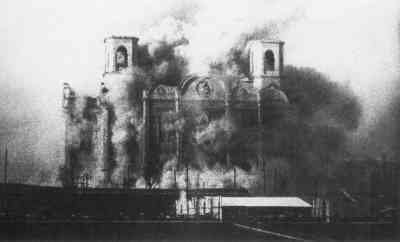 The last thing the displaced Muslims which the Soros left arm of the Rothschild cabal herded into Europe, would do is to go around destroying churches and creating divisions. It is now historical fact that there has been a concerted Zionist effort to cause divisions and hostilities between Christians and Muslims. The Zionists also have done all they can to displace people from Syria through the war which they are still tying to continue. Their methods are as ruthless as their treatment of Palestinians on the West Bank and in Gaza. The cabal controls their US, the UK, France and most EU nations puppet governments and the Western corporate media and they want Christians to condemn Muslims for mainly Zio ends. I am no fan of the Koran and Islam but for the same reasons no fan of the Talmud or Zionists. Cui bono regarding the church desecrations? Clearly the Zionists. As to the methods, they are totally in keeping with those of our sociopathic intelligence agencies including that of the Mossad.